I’m not here to rip on the Author. There’s much of the book I agree with and relate to. Looking past the question to where its coming from, the “Why” question is not the issue in the above examples. The first examples the author gave had embedded judgements with the words “stupid,” “inept,” and “misunderstood.” The later examples had less judgement associated but still had a separation of questioner and external things being questioned. The separation of subject and object as well as the associated judgement we lace our questions are the issues not the word Why. 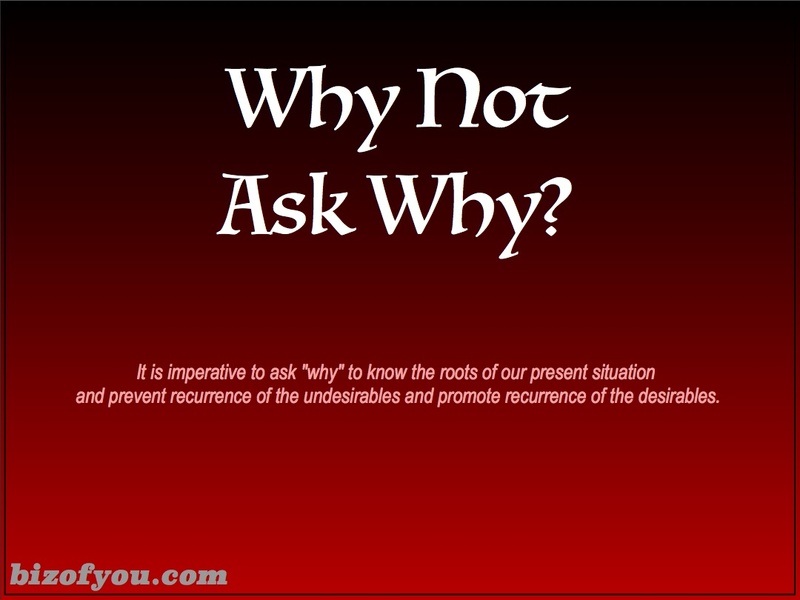 Why-questions are extremely important to managing the biz of you. Knowing why things happen allows us to take action to prevent recurrence of the undesirable things while encourage recurrence for those things we truly want in our life. Why questions certainly imply purpose and it’s easy for us to link the questions with judgements about the topic being questioned. We find only trouble when we associate judgements and separating ourselves from the environment around us. Thus, it is critical to realize when are are doing so. So the question to ask is “Why am I judging myself?” or “Why am I separating myself from my environment?” Learning to reflect on ourselves and our connection with the environment using Why questions allows us to find the blood of life, fuel our creativity, and increase our consciousness.